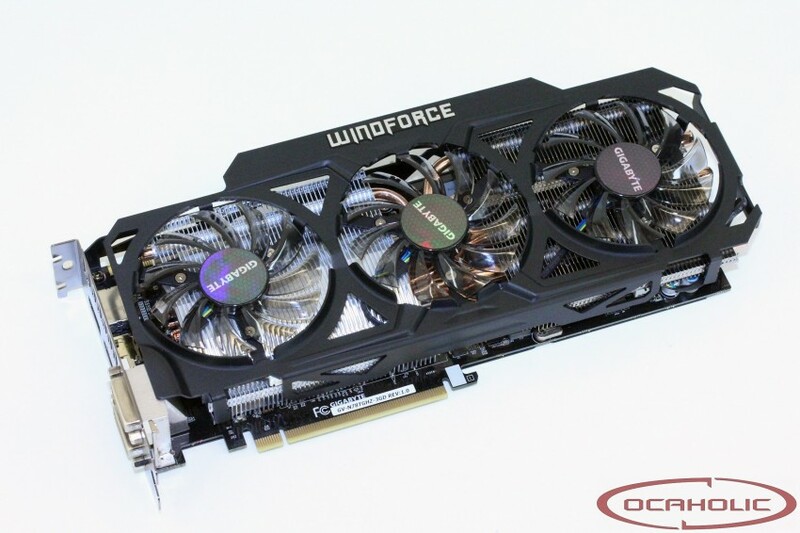 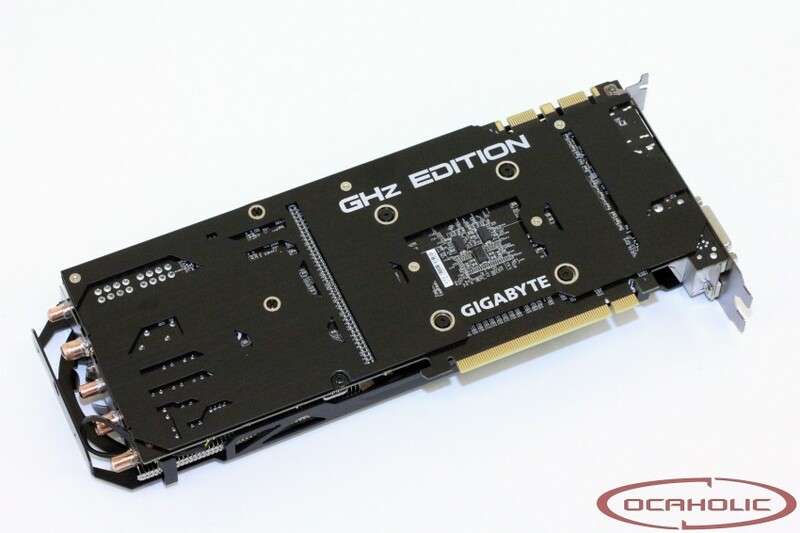 OCAholic took some photos of the new Gigabyte GTX 780 Ti GHz Edition (GV-N78TGHZ-3GD). 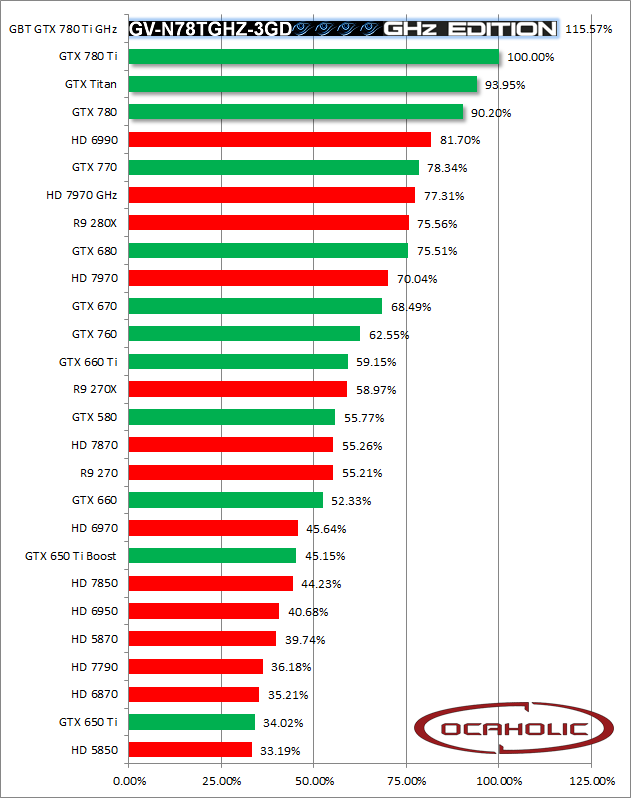 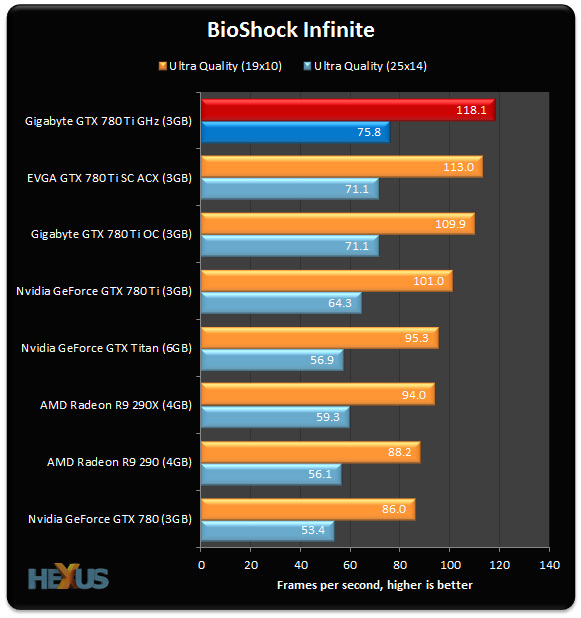 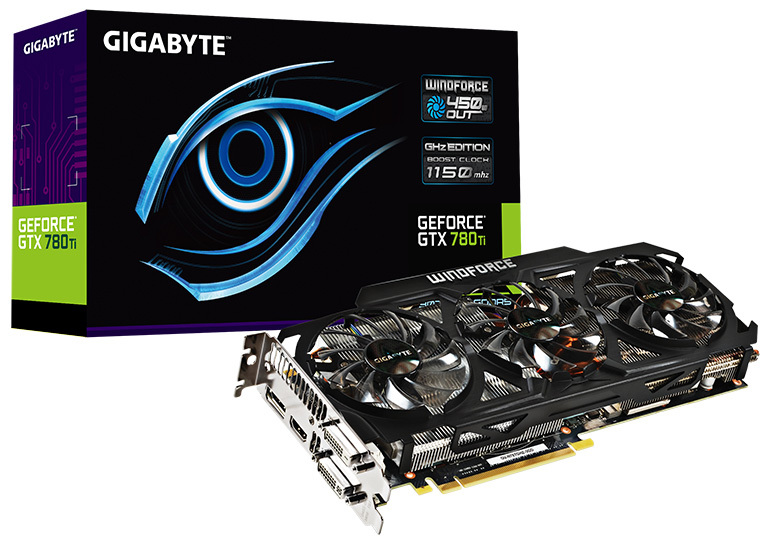 Gigabyte recently released a GHz Edition of the original GTX 780 (non-Ti), which was almost as fast as the reference GTX 780 Ti. 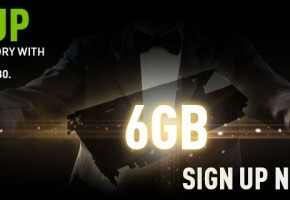 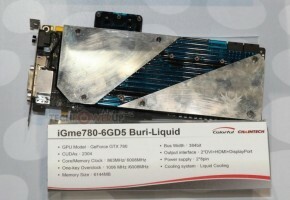 Soon Gigabyte will introduce a brand new GTX 780 Ti, which is also named GHz Edition. 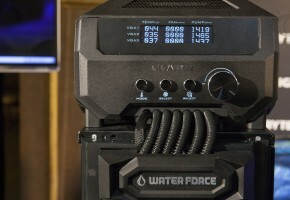 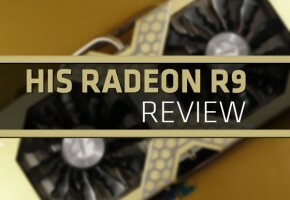 Card will be clocked at 1085/1150 MHz which is around 222 MHz overclock. 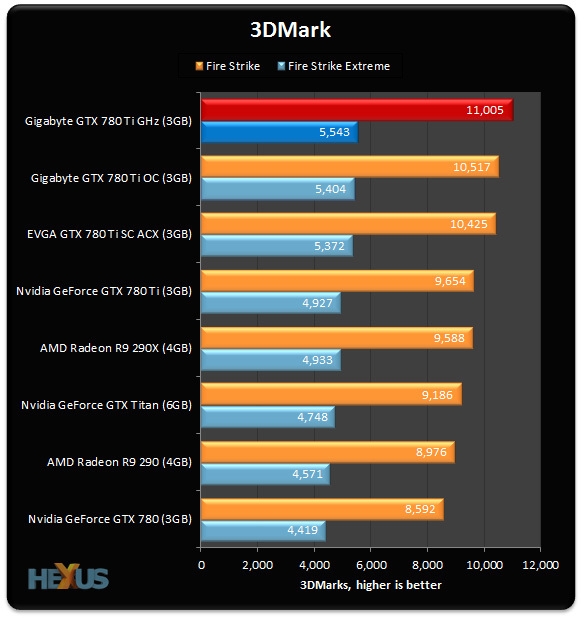 Unfortunately, memory was not overclocked and remains at 7 GHz effective speed. 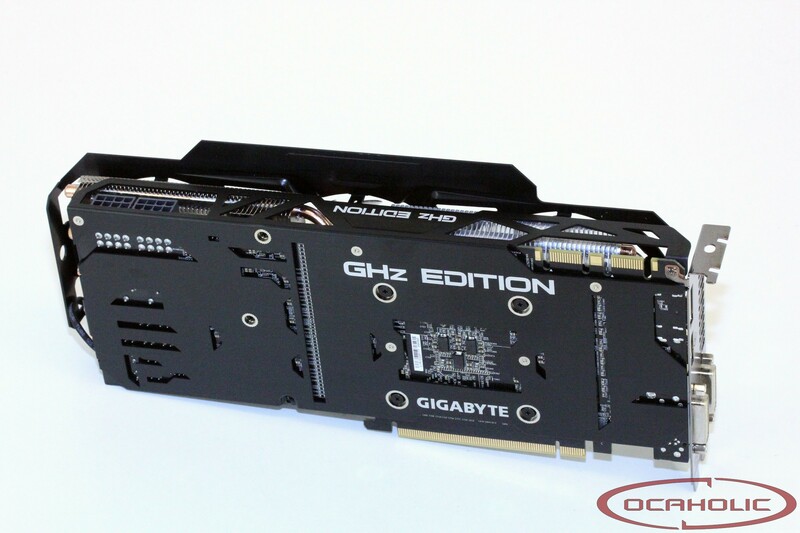 The special thing about this card is that we are looking at fully custom card. 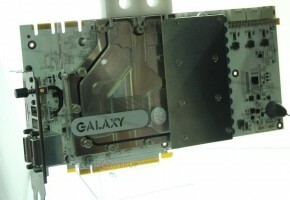 The power section has been modified to 8+2+2 phase VRM, which is powered by two 8-pin power connectors. 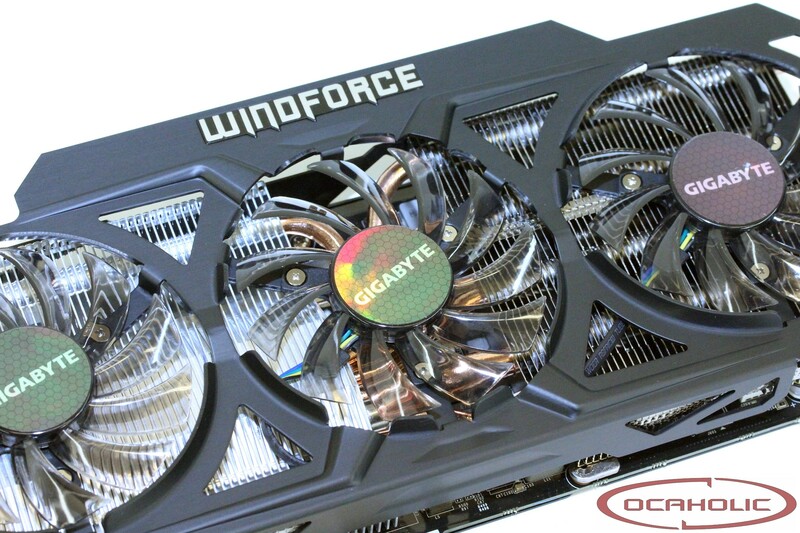 Gigabyte GTX 780 Ti is also equipped with new WindForce 450W 3X cooler, which is a triple-fan design, and on a contrary to many other similar coolers, it’s just 2-slot.